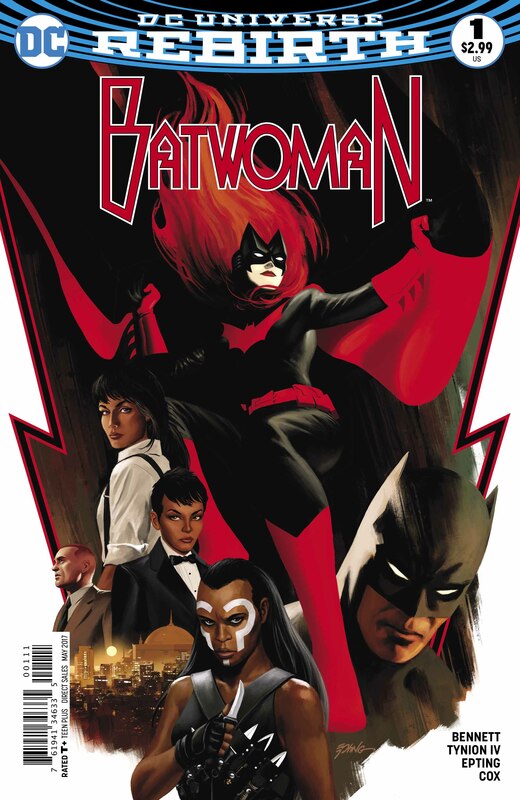 Launching the new Batwoman series in style, this issue is as perfectly executed as one of the character's missions. A really promising start! Kate Kane’s Batwoman is back in her own solo! 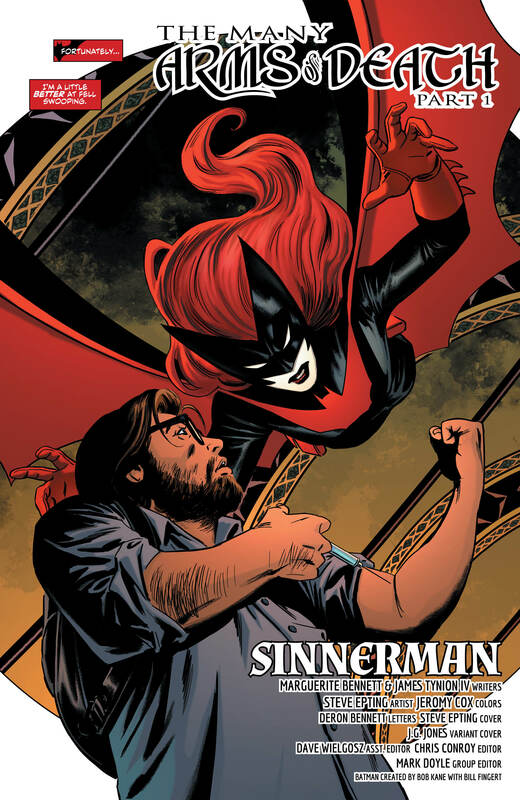 The second year of DC’s Rebirth has already seen the launch of ongoings such as the new Justice League of America and Super Sons, and now it’s time for Batwoman to step into the spotlight. 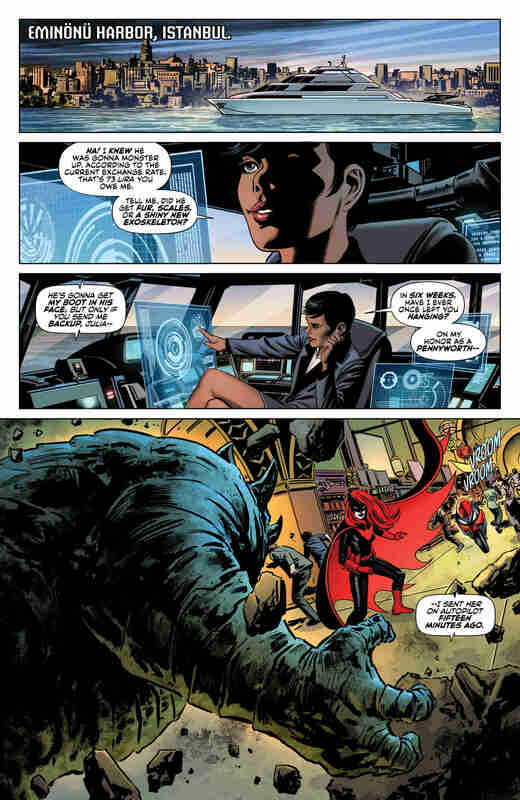 The character’s presence has gradually increased over the course of Rebirth, with Batwoman essentially serving as Batman’s lieutenant over in Detective Comics, and that serves as the groundwork for this run. DC’s wisely put Marguerite Bennet and James Tynion IV in place as writers, with the tremendous Steve Epting as the artist. Bearing the title ‘The Many Arms of Death,’ the first arc spins out of the recent “Attack of the Monster Men” event over in the Bat-books. Some vials of monster serum have gone missing, and Batwoman has been tasked with tracking them down. 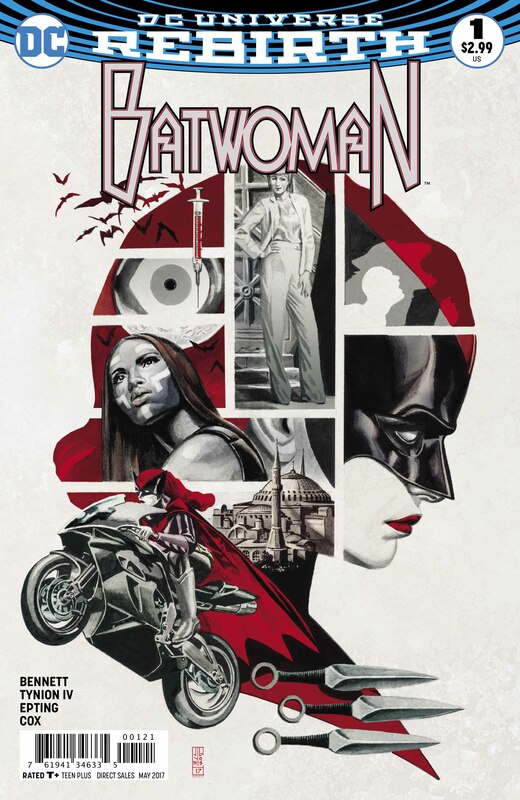 We open with Batwoman desperately working to stop a terrorist attack using monster serum, but her mission goes awfully wrong when she crosses paths with a mysterious assassin. Next thing we know, we’re spinning off to “some little island nation you’ve probably never heard of” – Coryana. 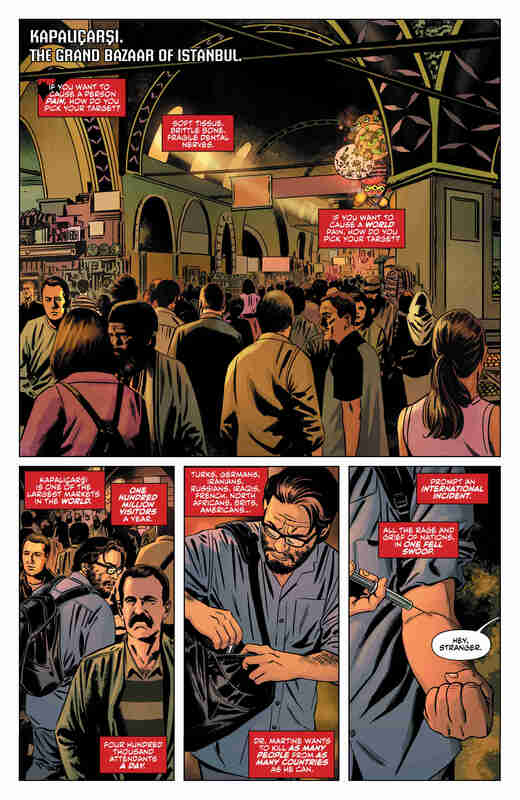 Bennet and Tynion waste no time in setting up their story, hinting at mysterious secrets rooted in Batwoman’s past. It’s a smart move; new readers don’t need to know all her backstory in order to get it, but older readers are rewarded with brand new revelations. Not that the first issue blows the lid on anything, of course; it just lays the groundwork, setting in place a fascinating dynamic and hinting at the secrets we’re soon to see unveiled. The whole script is tremendously intelligent. A careful read of the issue will show you that the narrative subtly loops round even as it continues, with the opening scene and the climax dovetailing perfectly. That’s a smart narrative trick that I rarely see executed well, but here it’s down flawlessly. Meanwhile, for all of the action, the book is mostly characterized by the sheer quality of the character-work. The dynamic between Batwoman and her assistant, Julia Pennyworth, is simply wonderful; I love the banter, the humor, and the sheer depth of it all. It’s an obvious, and practically lampshaded, twist on the traditional Batman-and-Alfred dynamic – but it works for all that, because both Batwoman and Julia are so well-characterized. The writers aren’t the only ones doing their job well. 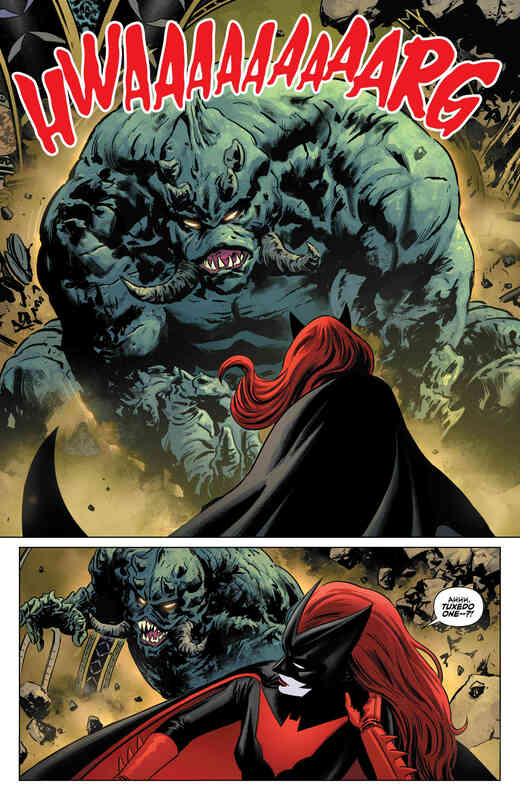 The art in Batwoman #1 is absolutely perfect, with Epting giving everything a sense of dynamism, and really working to establish the tone and style of the book. Visually, the issue’s a delight; there are a couple of stunning splash pages, including one as Batwoman faces the island of Coryana, that are just picture-perfect. 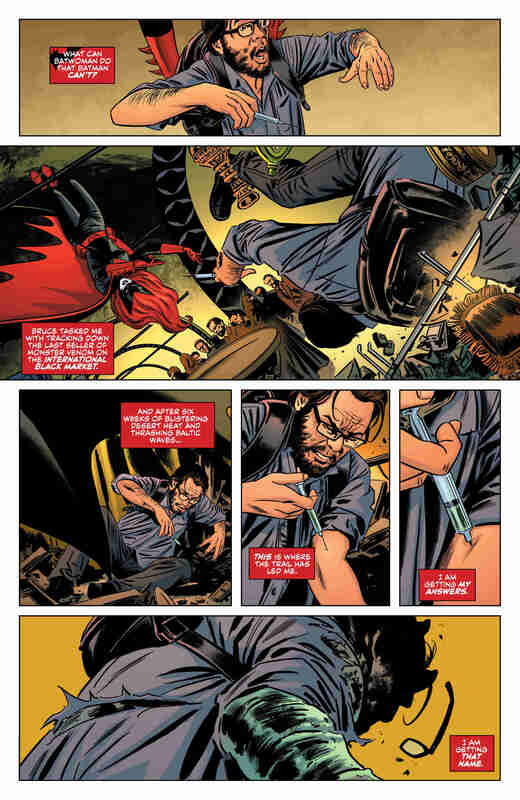 In my view, Batwoman #1 is that rare thing: an issue that perfectly does its job. Every first issue is essentially an introduction, a way of signposting to readers what you’ll be experiencing if you choose to follow the book. Batwoman #1 promises high-octane action, deep and intense character-work, some intriguing revelations, and some stunning art. For this comic-book-fan, I couldn’t ask for more.